Just cut the damn fabric already! So, obviously I haven’t been able to keep up with my own plan to post about my sewing projects a minimum of once a month this year. I’d rather be sewing! Or making patterns for sewing! There’s actually been a lot of sewing going on. I’m working on several projects, and here’s just a brief overview of what I’ve completed this year and what is currently in progress. That’s a lot of Regency. See, I’m preparing for my local JASNA group’s first retreat next July. It’s only 2 days, but I intend to spend all of it in period dress. I’ll be teaching a class as well as enjoying other classes, there’s a promenade through town, and there’s a ball one night! So a lot will be going on. All the reticules and wallets are for the class I’ll be teaching. Yeesh, no wonder I don’t have time to post about any of it. But I will try to post about them all eventually. Just for posterity and self-discipline. Especially interesting might be a post about the sleeve and bodice variations I’ve been drafting from my basic block and previous iterations (the Folkwear Empire dress pattern is the block from which all my variations have sprung). So, that’s it for now. 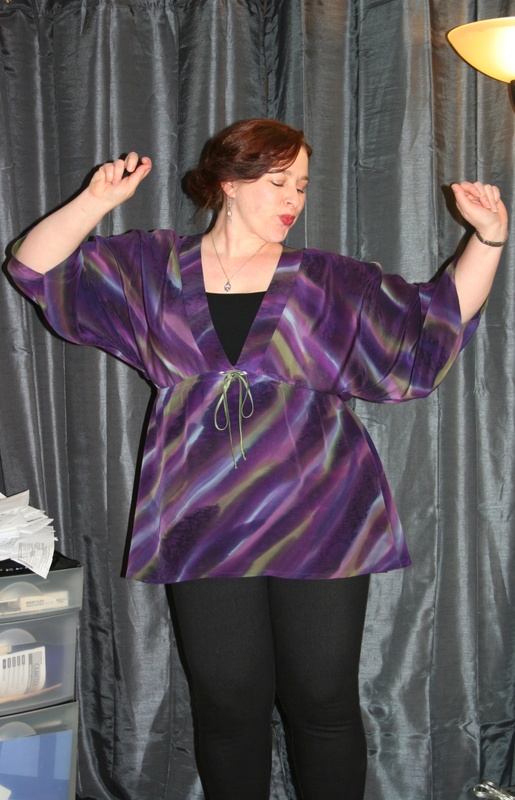 Happiness can happen when you just cut the damn fabric, already!